(TVLINE)– After three seasons chronicling the rise and fall of Colombian drug lord Pablo Escobar and the aftermath of his demise, Netflix’s Narcos franchise is turning its attention to birth of the Mexican drug war. The first full-length trailer for Narcos: Mexico sets the scene, taking viewers back to the year 1980 to witness the infancy of the Guadalajara Cartel, led by “the Rockefeller of marijuana” Félix Gallardo (Rogue One‘s Diego Luna). We’re also introduced to DEA agent Kiki Camarena (Gracepoint‘s Michael Peña), who moves his family from California to Guadalajara. Little does he know that his latest assignment will be his toughest challenge yet, as “a tragic chain of events unfold, affecting the drug trade and the war against it for years to come,” according to the official logline. The fourth season will also bring to the screen Ojinaga’s Pablo Acosta, played by Geraldo Taracena (Apocalypto). 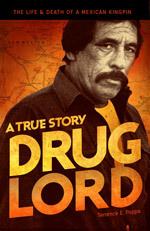 Narcos launched in August 2015. After its first two seasons focused exclusively on cocaine kingpin Escobar, Season 3 turned its attention to the rise of the Cali Cartel after his death. Originally set to return for Season 4, the series has instead come back as Narcos: Mexico, which Netflix is billing as Season 1 of a new spinoff series. The complete 10-episode season is set to release on Friday, Nov. 16.